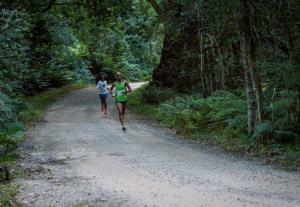 The Knysna Forest Marathon is held annually during the Knysna Oyster Festival and is always a great success. Participants can take place in either the 42.2km full marathon or the 21.1km half-marathon. This is a favourite on the running calendar. Entries are limited to 1000 runners for the full marathon and 5500 for the half, so it is advisable to book early to avoid disappointment.